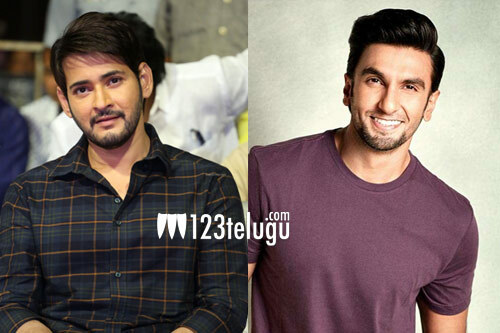 Tollywood Superstar Mahesh Babu and happening Bollywood star Ranveer Singh are all set to share screen space for a TV commercial. Apparently, both the stars will soon be shooting for an ad film for the popular cola brand, Thums Up. The ad film is going to be an action packed thriller and we can see both the stars at their energetic best. It’s well-known that Mahesh Babu has been endorsing Thums up for the last 10 years. On the other hand, Ranveer Singh replaced leading Bollywood star Salman Khan as Thums Up brand ambassador in 2016. On the movies front, Mahesh is currently working on his prestigious silver jubilee film. Ranveer, on the other hand, is shooting for Temper’s Hindi remake, Simmba.